Join the National Ready Mixed Concrete Association, Grey Matters and the sponsors for the 2016 International Concrete Technology Forum, November 20, in Qatar. The International Concrete Technology Forum provides learning and networking opportunities on the latest advances, technical knowledge, continuing research, tools and solutions for concrete manufacturing, design and construction. NRMCA hosts technical conferences in North America and other parts of the world each year. 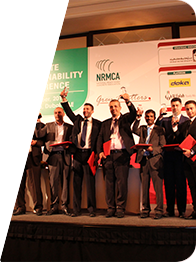 The conference provides learning and networking opportunities on the latest advances, technical knowledge, continuing research, tools and solutions for concrete manufacturing and construction. Grey Matters is a Dubai-based professional entity established to serve the construction and concrete industries in the Gulf and Middle East regions (www.greymatters.ws).